Hello, friends! I am going to try to squeeze this post in before it turns midnight! 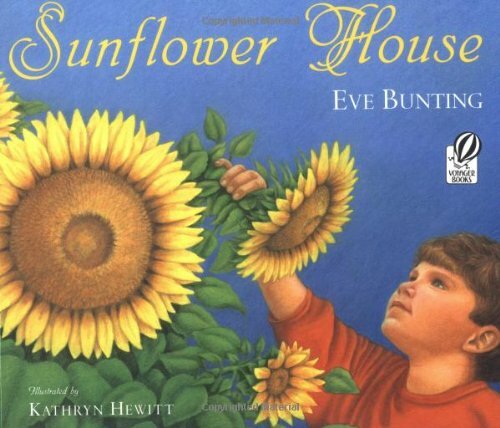 This week, I am linking up with Deanna Jump with the book Sunflower House by Eve Bunting. This book is also perfect for sequencing of events! 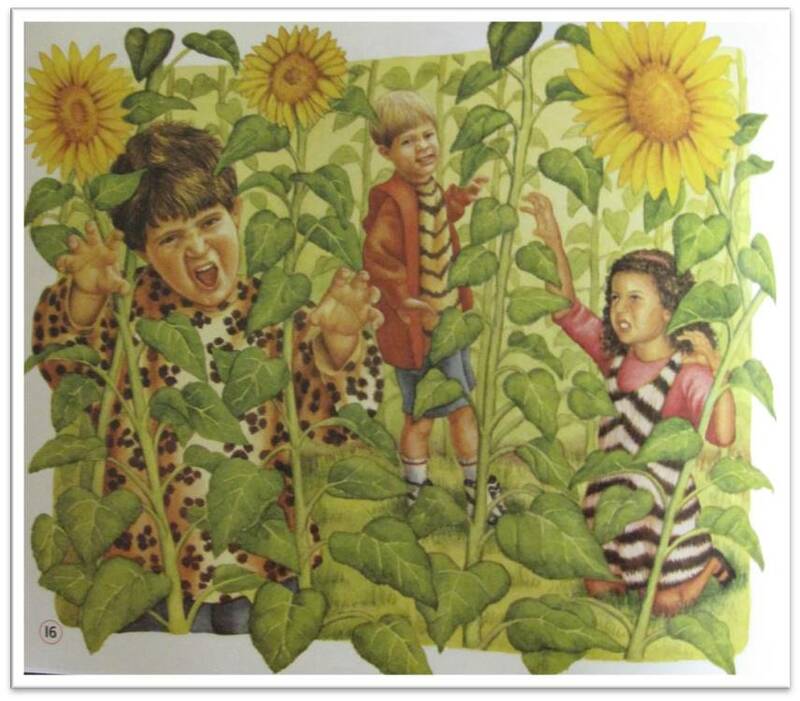 We practice sequencing the events in the story and also sequencing the life cycle of a sunflower! I like to start by reading only the first few pages to the students, just the beginning. Then, we stop to retell what happened in the beginning of the story. I draw the students’ ideas inside the first sunflower. After recalling the events in the beginning of the story, they complete the first section of the sequencing paper. If the students finish illustrating the beginning of the story early, I have them color their illustrations. Otherwise, we gather back on the carpet to listen to the middle of the story. Again, I read just the middle section and we retell what happened in this part of the story. I model how to illustrate the middle of the story inside the next sunflower. Once the students have finished illustrating the middle of the story, we gather back on the carpet to listen to the end of the Sunflower House. We discuss what happened to the sunflower, and then discuss the life cycle of a sunflower. Next, we illustrate the end of the story on our sequencing sheet. I like to add a little brown to the petals at the end to match the words in the text, “One day the leaves are tinged with brown.” If you are familiar with this story, then you know it ends with children picking the seeds to save for next summer. Sometimes, I draw the boy next to the wilting sunflower holding seeds in his hand. 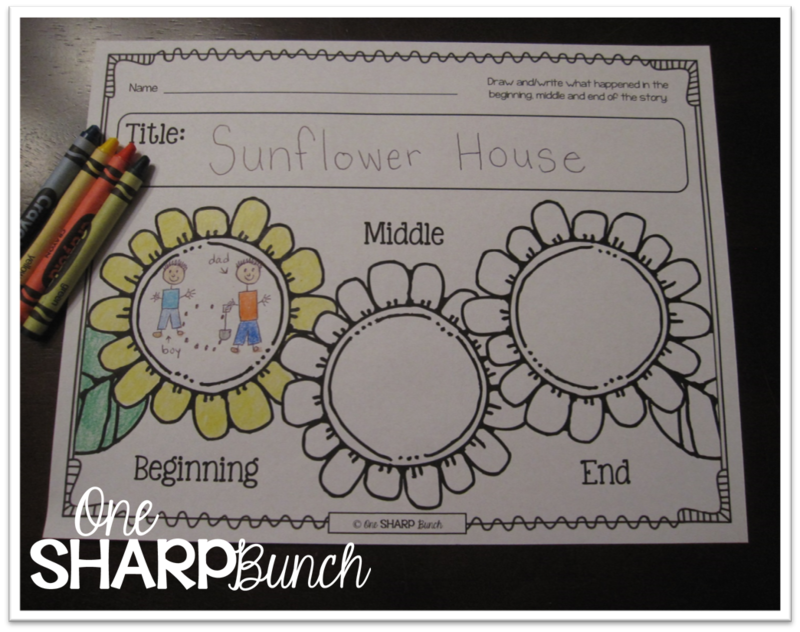 Either way, the kiddos can see that the sunflower house begins as a ring of seeds, then a ring of flowers for the boy and his friends to play inside, and last a ring of wilting sunflowers. 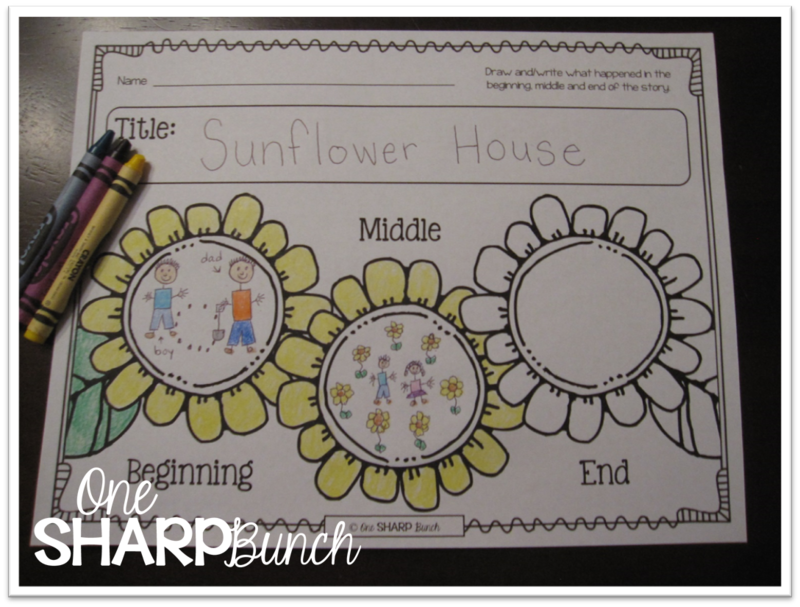 If you enjoy this activity, click on the picture below to download a copy of this sequencing sheet to use with the Sunflower House! Click on the picture to download this file! Remember to link back to Deanna’s post to check out all the other great stories featured this week! I hope you enjoy this freebie! Happy sequencing! Super cute Ashley! I also love this book' it was included in our old treasures curriculum. We are getting a new reading series now… ourneys?!? Thanks, Kristen! 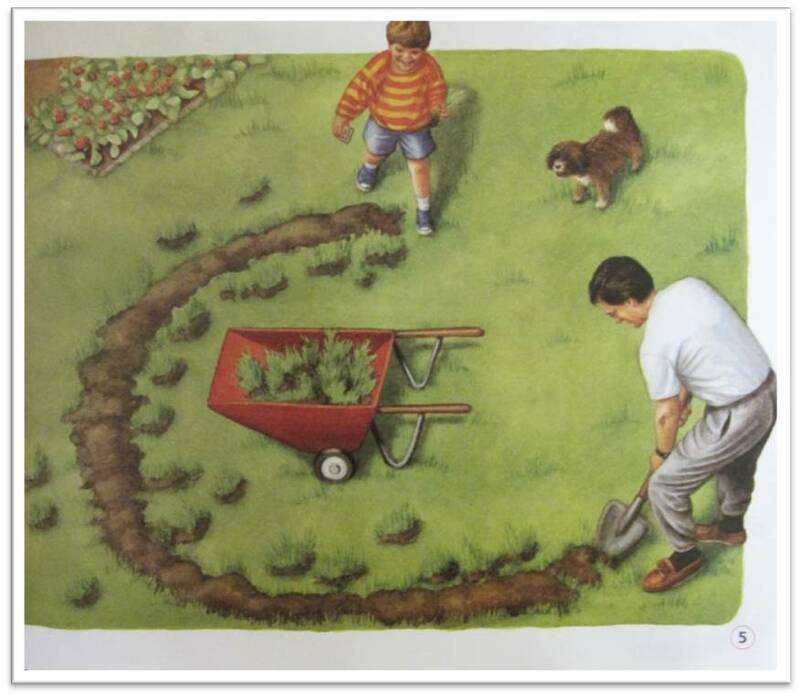 We use Treasures too, but I like to use this book during our plant unit. This year, I even had a student convince his mom to plant a sunflower house! How precious! Wouldn't that be so much fun! I was so proud when my student told me he actually made a sunflower house when they were planting the garden!